Trindade & Bird London specialise in providing a luxurious and creative interior design service across London and South East. Previously, the business had been largely been operating Kent and the surrounding areas with occasional projects in London and Essex. Headed up by husband and wife team, Sam and Louise, it was important for the business to attract a more London focussed audience in alignment with the company’s goals. To re-brand Trindade & Bird with a new look and feel to re-align the brand with the new company values and objectives. Adams worked closely with Trindade & Bird to first of all understand their future business challenges and objectives. Identifying London as a key opportunity led Adams to compile extensive research into the behaviours and interests of their target audience. It was important not to alienate their existing and very loyal customer base, so the strategy formed around an evolution of the brand as opposed to a re-launch. Early on, it was agreed that the company would need a new brand identity to align itself with its new direction. After some initial concepting, the logo and bird motif were developed which gave Trindade & Bird a powerful new identity whilst future proofing itself through its flexibility for application across various media and product ranges. To ensure consistency across the brand, Adams produced strict brand guidelines before designing and producing new collateral including business cards, folders, labels, mailers and customer brochures to name just a few. 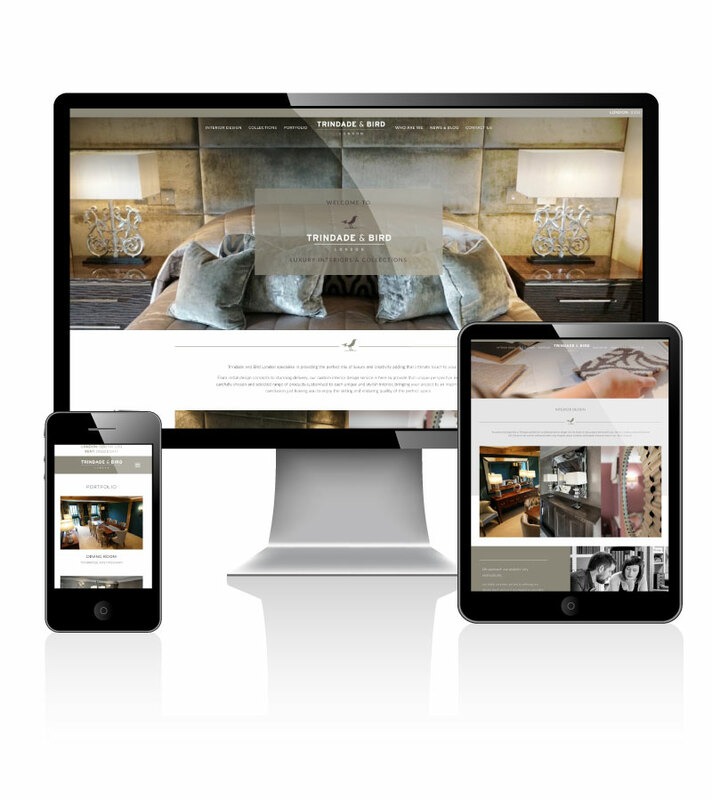 In conjunction with the offline activity, Adams designed and built a brand new website for Trindade & Bird. Using knowledge and insights from analytics on the old site as well as industry research, we developed a more effective user journey with clear means of navigation, developing pages primed for driving traffic to from marketing initiatives. Media – regular coverage in luxury lifestyle magazines both on and offline. Both advertorial and editorial placements to promote both the services and personality of Trindade & Bird. Emails – regular newsletter and ad-hoc emails to customers communicating latest projects and updates. PPC – strategic targeting of target areas with close budget control to maximise ROI. Testing copy and image variations for improved engagement.